Which TWO changes have been made so far during the refurbishment of the theatre? A Some rooms now have a different use. B A different type of seating has been installed. C An elevator has been installed. D The outside of the building has been repaired. E Extra seats have been added. 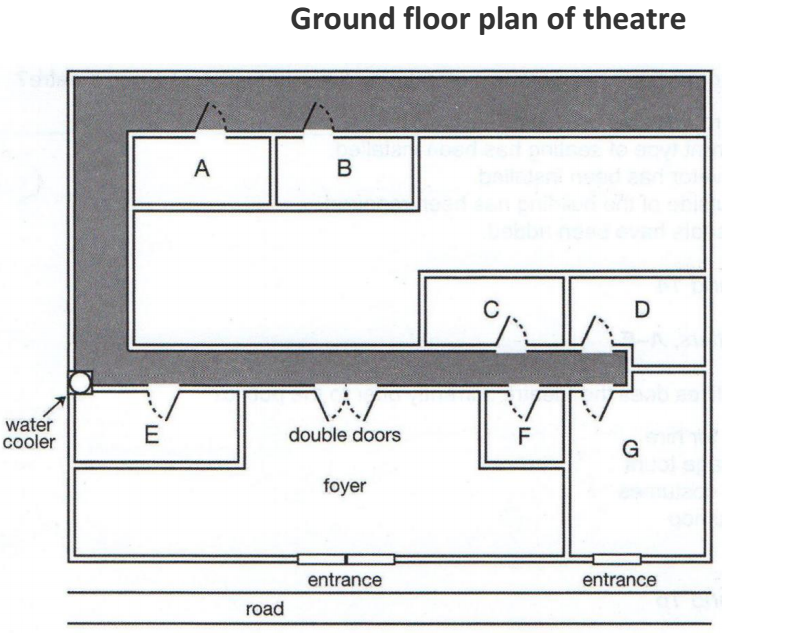 Which TWO facilities does the theatre currently offer to the public? Which TWO workshops does the theatre currently offer? Write the correct letter, A-G, next to Questions 7-10.